All the excellence of Italian citrus fruits lives inside SANPELLEGRINO SPARKLING FRUIT BEVERAGES. These extraordinary beverages own the most authentic Sicilian characteristics. The aroma and taste of the Sanpellegrino products evoke the magic of a unique and wonderful land, known for breathtaking landscapes and variant surroundings that, together, make a perfect balance. Sanpellegrino selects the best lemons, the juiciest oranges, the grapefruits and chinotti cultivated and grown between the Mediterranean Sea and the volcanic land and consciously produces beverages that touch both the palate and the mind. 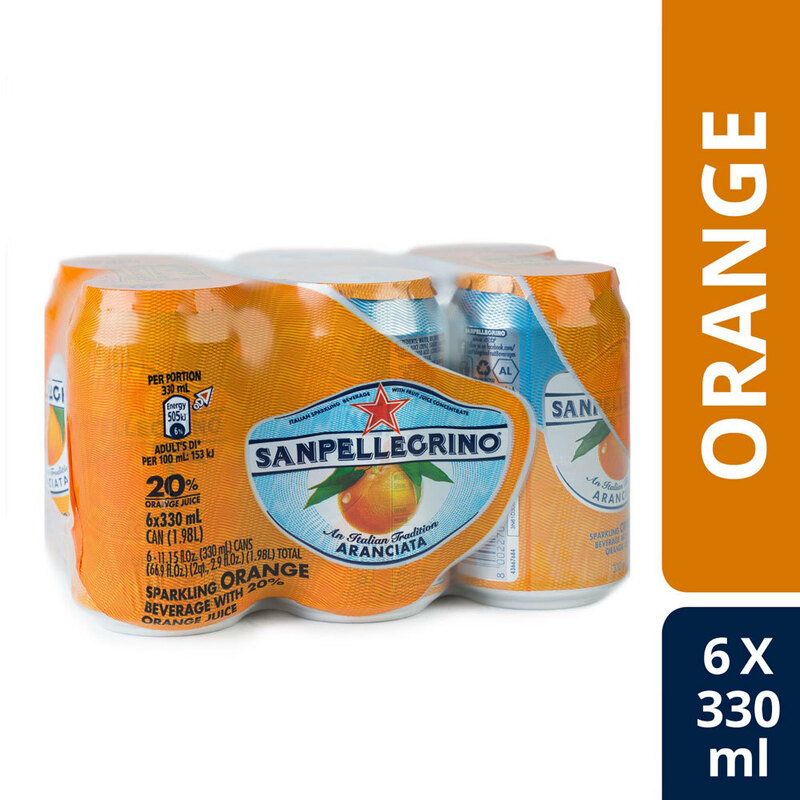 SANPELLEGRINO Aranciata (Orange) is characterized by the wonderful citrusy finish and intense aromas of real juice and peel from sun-ripened oranges. Its a unique Italian treat inspired by homemade Aranciata: a carbonated drink mixing real orange juice, carbonated water and sugar. It is made with natural carbonated water and 20-percent real juice.